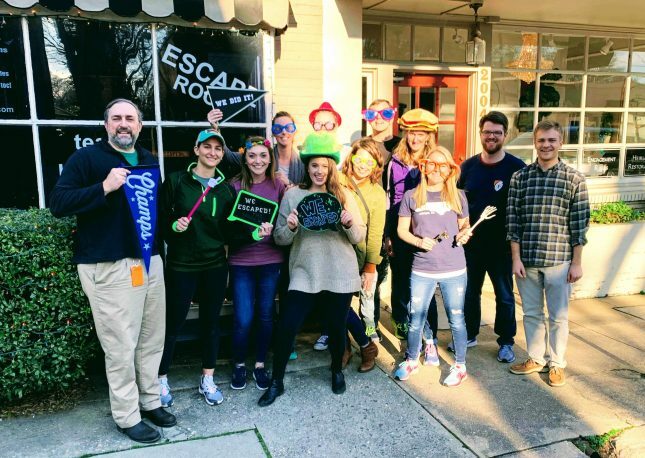 Anderson Jones, PLLC employees participated in a team building exercise last Friday at the local Tic Toc Escape Room in Five Points. In case you are unfamiliar with escape rooms, they are live-action, interactive games where groups work together to discover hidden clues, solve puzzles and find the key to their escape before time runs out! We highly recommend checking out this Raleigh business with coworkers or family and friends!